Dangerous weather can seemingly come out of nowhere. In the most violent instances, roofs can be ripped off and windows smashed, leaving your home or business exposed to the elements. Because ICC offers the widest range of services we have the skills, equipment and experience necessary to handle every aspect of the loss and get you back to normal fast. 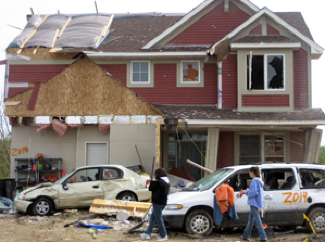 Whether the damage is from high winds, hail, rain or lightning, ICC provides the appropriate mitigation as well as full service reconstruction services as required for residential, commercial and industrial buildings. And because many losses caused by storm damage can be both fire and water losses, ICC’s full service capabilities enable us to take the best approach to mitigate the loss quickly and with minimal reconstruction. The latest in high tech inspection tools to determine the extent of the damage. A clear restoration action plan, with expert project management to ensure on-time completion. Expert contents management, with all contents thoroughly inventoried and cataloged. Removal, drying and storage of your contents at our secure climate-controlled storage facility, as required. 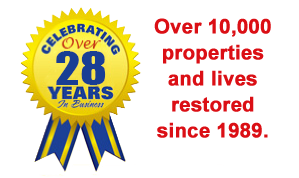 Expert contents restoration, to clean and restore your home or business contents whenever possible.